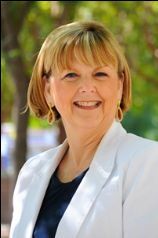 Dr. Virginia “Ginny” Boris began her career in Clovis Unified as a math teacher, and spent the next 37 years in the Clovis Unified School District serving as a teacher, high school administrator, middle school principal and area superintendent. She served her last 15 years as associate superintendent of curriculum and instruction. She has received many accolades, one of them being the CUSD employee of the year. Ginny has always been committed to improving educational systems and instructional practices to positively impact student achievement. Many people describe Ginny as someone who always has a focus on what is right for kids, and will do whatever it takes to meet the learning needs of students and instill them the value of learning and education. Ginny currently serves as the Co-Director of the Central Valley Educational Leadership Institute (CVELI) and is also a lecturer at Fresno State University. She teaches and mentors aspiring educational leaders at the Master’s and Doctoral level in the Kremen School of Education and Human Development. Committed to making the University experience relevant, Dr. Boris has enhanced the University’s Central Valley footprint through course-based fieldwork, interagency partnerships, and CVELI programs and events. Through many of these courses and partnerships, school districts around the valley and state benefit from her commitment to students and learning. Ginny continues to serve Clovis Unified School District, working closely with the Clovis East Area in the areas of instructional improvement and professional development for teachers and administrators.